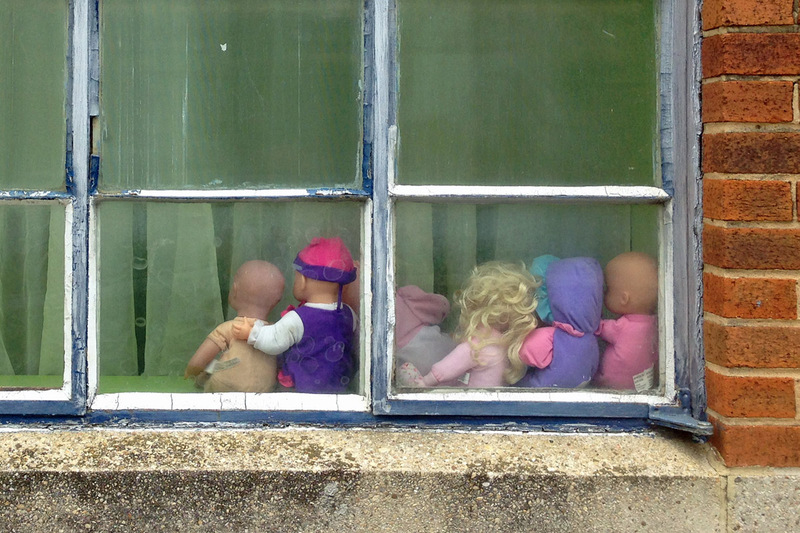 They sit on a windowsill behind a sheer curtain in someone's office, their backs to the parking lot. The dolls never change. One rests a protective hand on the smallest doll's shoulder. Another leans to the side, as if to get a better view of the goings-on in the office, or perhaps to shimmy down from the window sill and escape. No one combs the blond's hair. Why are they there? Have they been forgotten? It's mysterious and slightly sad, imbued with a sense of waiting, but for...what?